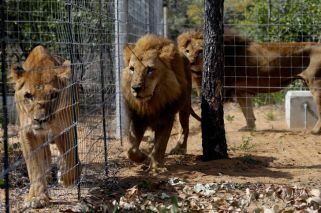 More than two-dozen lions that were rescued from South American circuses and transferred to a South African big cat refuge could be on the move again after a legal dispute. The rescue of 33 lions from South American circuses and their 2016 transfer to a South African refuge was billed as a compassionate gesture, a return "home" after years of abuse and living in cages. Things didn't turn out as planned. 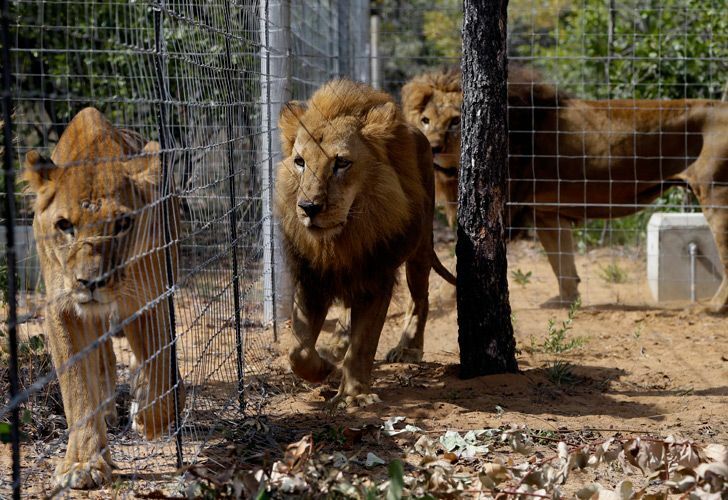 Animal Defenders International, a group that airlifted the lions to South Africa, has secured a court order allowing the removal of 27 surviving lions from the Emoya Big Cat Sanctuary in Vaalwater. The two organisations had collaborated on the project, but disputes over alleged mismanagement at the sanctuary soon arose and six lions have died since arriving there. "ADI believes that if we leave our rescued lions at Emoya, they will die before their time," Animal Defenders International said Thursday. "We will move the animals as soon as possible and in accordance with the court order." The group said it was acting after the "preventable deaths" of five lions, including from food poisoning and poaching, and that it was denied immediate access to another lion that died. 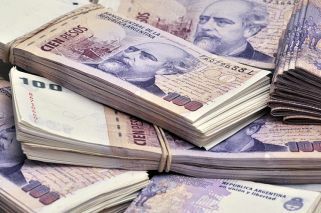 Animal Defenders International cited "other problems including misappropriation of funds, materials for the lions and associations with trophy hunters and more." Emoya has denied allegations of wrongdoing and said the South African court ruling against it is based solely on a 90-day termination clause in its contract with Animal Defenders International. "The truth is this: Despite unforeseen tragic events, the lions have been and are in excellent condition," Emoya said on its website. The lions live in large enclosures "in the natural Africa habitat," receive a venison diet with added supplements and are protected by an upgraded security system, according to Emoya. While Animal Defenders International said it is organising a "road trip" for the lions to another location, Emoya said the move can only happen if it is satisfied with the logistics and the quality of the new home. The judge's order requires coordination between the two groups. Nine of the original 33 lions were surrendered by a circus in Colombia. The remaining 24 were rescued in raids on circuses in Peru as part of a crackdown on wildlife trafficking. The transfer to South Africa had no conservationist value because the animals, which were in poor condition, had been held in captivity and could not live in the wild.